I’ve been keeping this deal close to the vest…don’t miss this! I went to the origins at the Cool Springs Dillards. The lady working at the counter was ultra rude and unorganized. The products is actually for a moisturizer NOT a cleanser. It is full size…1.7 ounces and retails for $39.95! (Seemed like a small “full size ” to me, so I looked it up online. The retail version comes in a 1.7 oz. pot. The giveaway comes in a tube. SO thankful for this FREEBIE! Happy Earth Day!! I have to admit that I have been very selfish…I’ve been keeping a deal away from all of my lovely followers. Not intentionally, but kind of intentionally. That’s because it’s so good, I want it all for myself! 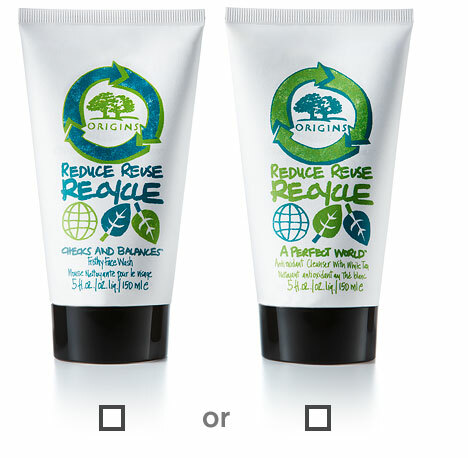 On April 22nd (Earth Day) You can get a FREE full sized origins cleanser! All you have to do is fill out this form, and bring it along with your current cleanser to trade for the new cleanser (the old cleanser can be empty!) That’s it! While Supplies last! ← Hen’s Homemade Ballet Birthday!